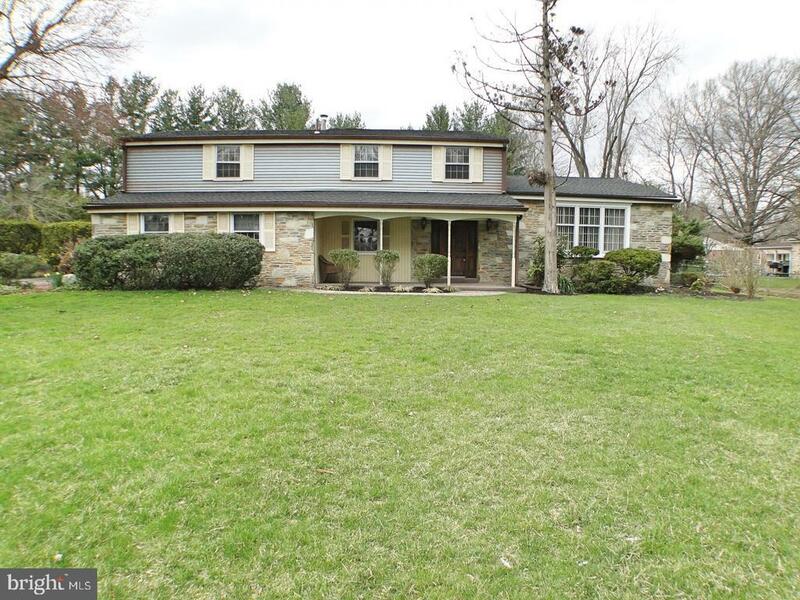 Welcome to this Spacious and Beautiful Home in the sought after Greenridge neighborhood of Huntingdon Valley and the award winning Lower Moreland School District. Offering over 3, 200 sqft and a bonus 1st floor In-law Suite. Step into the charming foyer area and up into the formal living room with gorgeous wood flooring that opens to the formal dining room, also with gorgeous wood flooring. Next you will find the nicely kept eat-in kitchen, that over looks the cozy family room with a nice stone fireplace. Off of the family room is bonus room, recently used as an enclosed sun room. The first floor also offers a full in-law suite with spacious bedroom, kitchenette and full private bathroom. Additionally you will find a nice sitting room, a full laundry room, a powder room and a door leading you to the basement, perfect for storage. The upstairs offers 4 spacious bedrooms including a master suite with a private bathroom and an additional hall bathroom. Now its time to talk about the outdoor space ~ step out into the beautiful brick patio area and gaze out at the wonderful in ground pool. The pool is perfect and surrounded by great deck space, a gazebo and a fabulous yard that is about .5 acre. This a truly an outdoor Oasis you must experience for yourselves! This home has been freshly painted with new carpeting and a brand new roof! Offering plenty of space with great features and updates both inside and out this property has everything you are looking for!